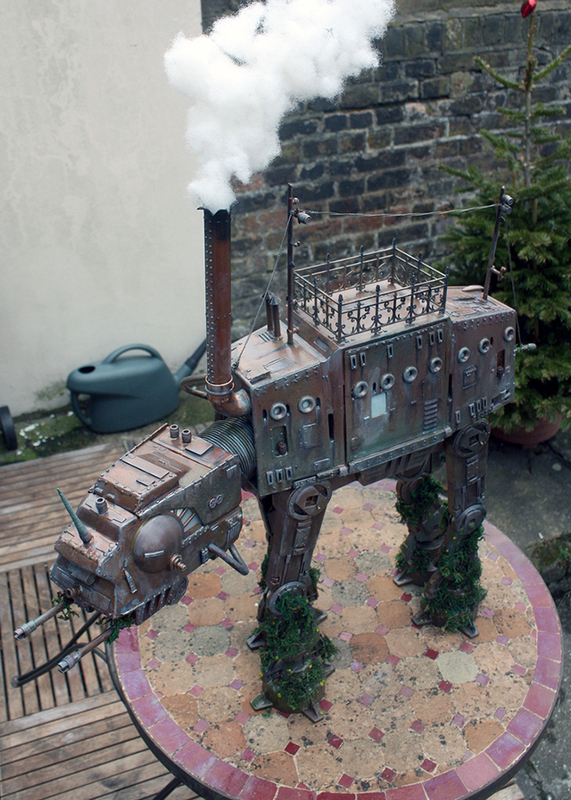 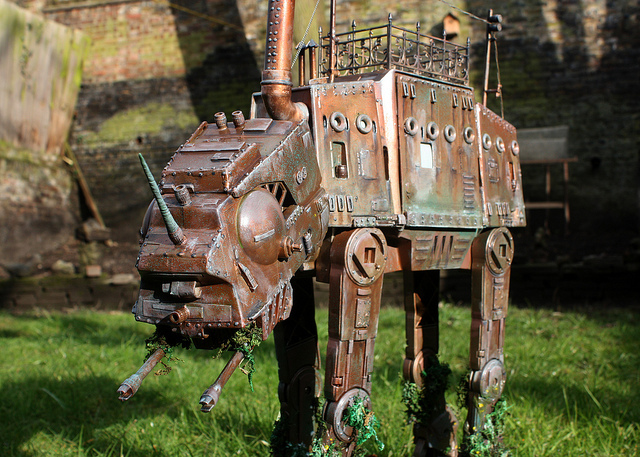 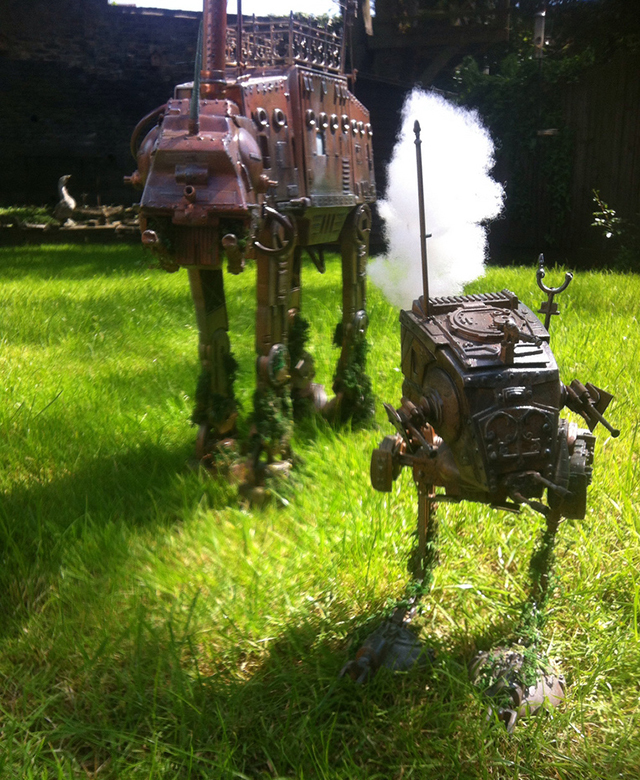 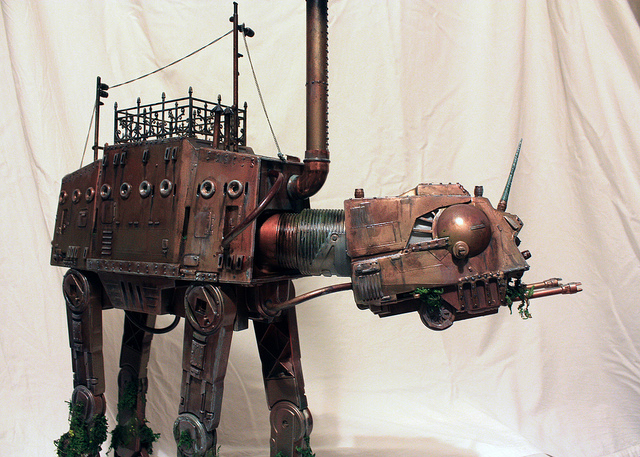 UK-based tinkerer Mark (aka “Captain Bayley“) built a custom steampunk AT-AT Walker (Infernal Mechano-Perambulato) from the Star Wars universe as an engagement gift for his fiancée. 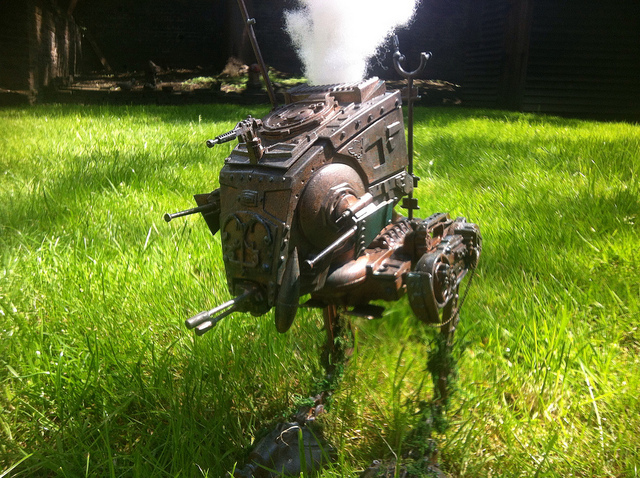 Due to its popularity, Mark has since built a smaller steampunk AT-ST Walker (Infernal Dichoto-Velocipod). 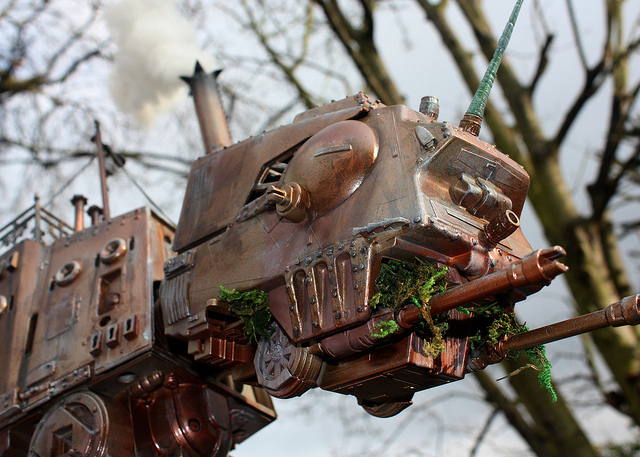 You can view more photos online via Flickr.